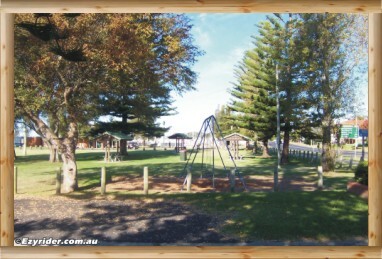 ﻿ Batemans Bay Rotary Park - Pictures & Information. 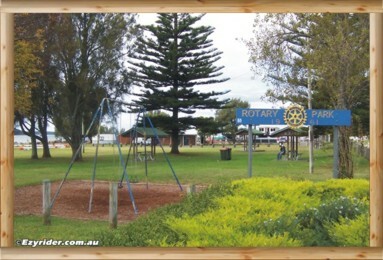 Rotary Park is located on the way to Batehaven along Beach Rd and situated adjacent to the first round-a-bout on Beach Road. It is also the location of a helicopter landing site with the Marina located next door. Across the road is a motel and a link to this motel is shown below. 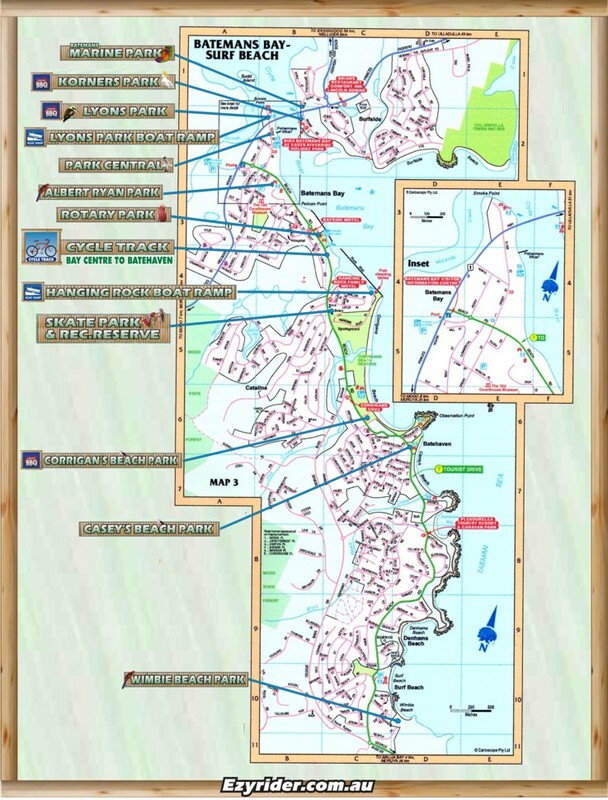 Other directions are shown on the location map on the Park Home Page. The park entrance on the left - travelling along Beach Rd. See map at the bottom on this page. 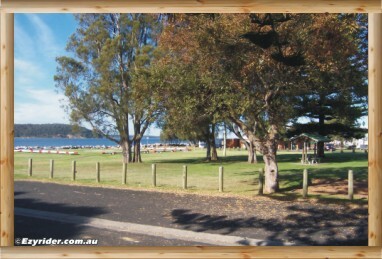 Looking east down Beach Road, showing the park swings, undercover parking in the background and the Marina building where the toilets are. Moving the camera more left, shows more parking in the front, plus the Marina building with the view in the background. 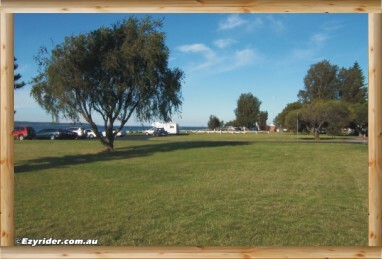 Looking towards Rotary Park from Beach Road and towards the Marina. 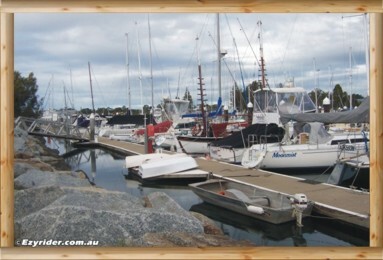 A photo of the boats at the Marina next door. There is a walkway beside the water.